The day starts off unusually strange. I wake up panicking and exciting that today’s the day! I always get normal hours of sleep before I travel to anywhere. But this time, I guess the europe tour plan kind of gets me nervous a bit. 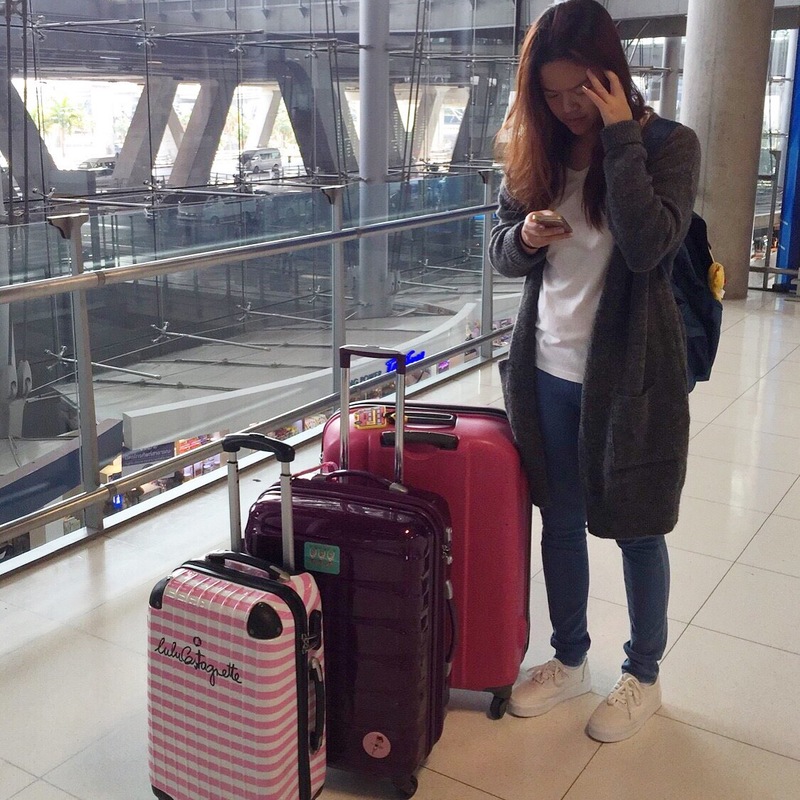 It’s not like any other trips I’ve ever been to; short trips around europe during my exchange program, short vacation trips with friends or family, business trips, all approximately lasted only a week. This time? Friggin’ forty-six days. That’s number 4 follow by 6 ladies and gentlemen. Actually let’s break down the summary of the trip mathematically! Don’t worry, not the boring kind. The fun maths by itsPinkwanderlust! You don’t have to be good at maths to figure the solution above. One word. AWW-SUMM!! (With a high pitched voice) That’s ‘awesome’ for you spelling bee kings and queens out there. So here i go! First destination? Only One direction, whoops no pun intended, but since everybody must think about the boy band so yes, im going to the UK! And let’s put another famous song into this guess, a famous bridge sang by Fergie…. LONDON! Here I am at the 13 hours flight from Bangkok to London. This is my first time flying with British airways ( until today I still see the plane’s tail as Thailand’s flag). In my life, most of the time I fly with either Thai airways or Asian operated airlines, in which the passengers would mostly be asians or chinese. But I’m not getting into that today, what I want to say is that it’s quite a nice change of environment; British accent and smiles, passengers are not loud, even the kids don’t cry! It’s a miracle! Oh well, I’m going to london, what’s better to watch than a film about moving to London eh? Last time I flew to Paris, I watched Taken, let just say it wasn’t the prep I was looking for. Midway through the movie, the airhostess comes over to ask what to drink. Air hostess: Would you like to add some ice? ‘Yes please?’ Omg! Such a nice manner! How dare i just say ‘yeah.’ Yeah like yeah whatever, yeah d’uh, yeah sure, yeah yeh. I shall respect their language and say ‘Yes’ and follow with ‘Please’ whenever I can. Wow! Already feeling the culture within the first hour of the flight! After a family friendly movie, I want to turn it up a notch to more mature and comedy movie. With my favorite actors Jennifer Aniston and Jason Bateman in Horrible bosses sequel! I watched the movie before, but never hurts to watch a comedy twice! Yayy the first meal arrives! 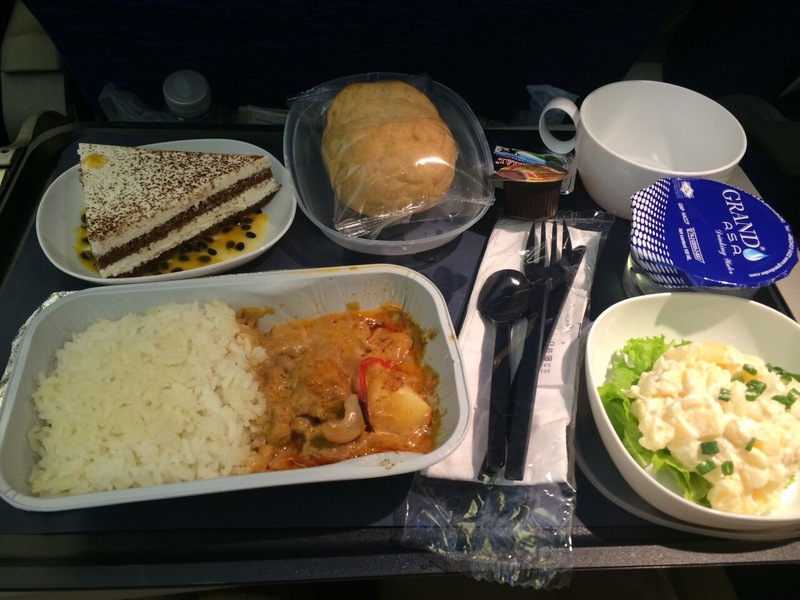 Plane foods are not always the best, but what I’m impressed with this one is the dessert! Airlines often serve yoghurt and/or fruits as desserts. Now here is a whole different story. Tiramisu-alike with passion fruit sauce! Love! 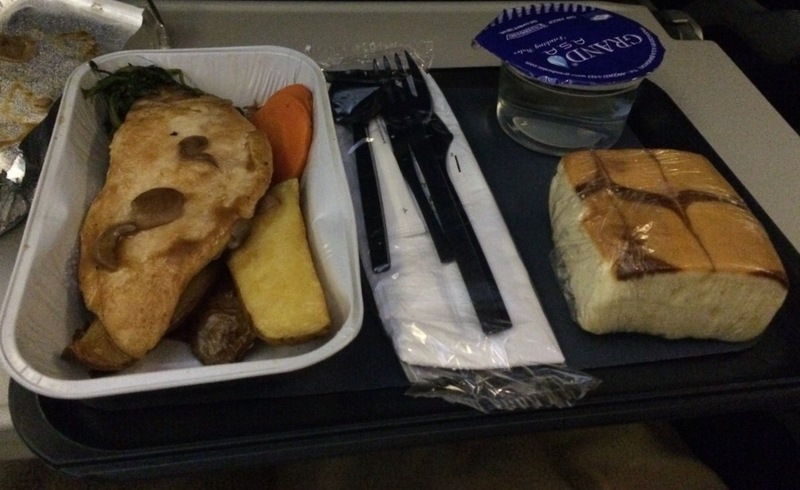 First meal on the plane! Once again, re-watching a movie I watched before. But I want to change the genre again, so family movie ✔️ adult comedy ✔️ moving on to musical! Ooh how I wanna watch musicals in London theatres! Can’t wait!! Speaking of adults, one thing I witness is the difference between Asians and western on their behaviour when they are waiting. While most Thais would spend time on their phones/tablets going through social media or play games, the western are most likely to read books or read e magazines on their tablets. This is no wonder why Asians are becoming a big market for the digital age we are living in. I realize I never really finish any movie, I always fall asleep during the latter half. But I never watch kingsman before! I must watch till the end! 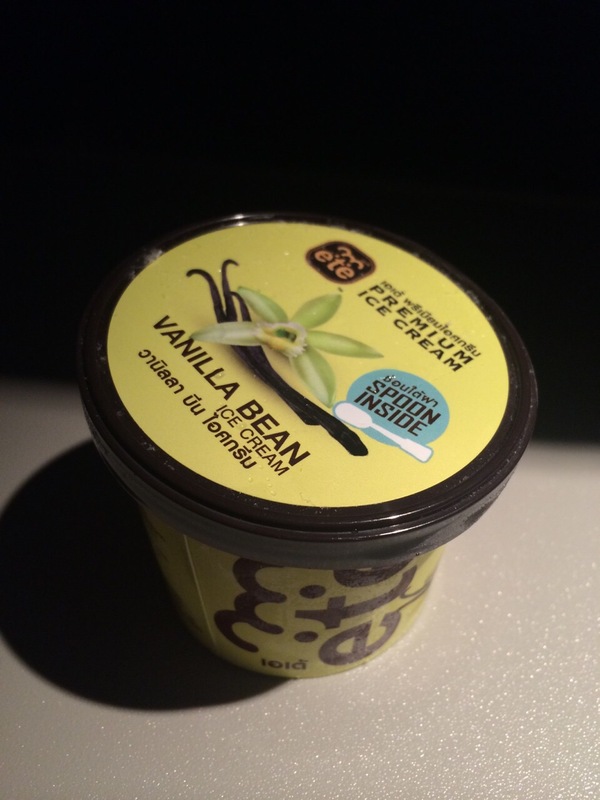 As luck would have it, the airhostess walks by and gives out ice cream! This will surely keep me awake for a while! Not just me who’s excited, seems like every kid loves eating their ice cream while wearing earphones and watch movies as well. The curly blond hair french girl in front of me has their parents’ ice cream too? Arrrrr jealous! On the other hand, not everyone loves kids. As I am watching the movie, I overhear a british man swears with the word that chef Gordon Ramsay loves to say, over how annoy he is with the kids that won’t shut up. It’s like an intro to what’s leading in the movie, turns out they swear a lot in this movie too… Do all brits love this ‘Fabulous’ word? Come to think I should really cherish these long haul flights. When can you ever watch like 5 movies straight and don’t feel guilty about it? Even better with all the snacks, ice cream and drinks serve straight to you. All you have to do is just sit, watch, eat, sleep. Speaking of snacks, remember the british guy next to me I mention earlier having good manners? Well, after i wake up from the end of the 3rd movie, he disappears. At first I thought hes probably off to the toilet… But as i almost finish my 4th movie, that’s a loooong time that he is away, my mind goes through a lot of movie scenes when a passenger is missing. But this is real life, not s movie, he’s a grown man, he’ll be fine. Anyway, he comes back (phewww) with snacks nonetheless and so kind to give me one! So far i am impressed with the brits! You know the saying what goes around comes around. As im waiting for the toilet, this woman comes to queue up after me, but her leg is in a cast, so I let her go in first. She comes out saying thank you very much and smile, I know it isn’t much, but I’m sure we both feel the generosity of humanity. Once again I don’t get to finish the movie. Oh boy I think I sleep probably half of the flight. So I decide to watch comedy series instead; short and funny should keep me awake! Friends! Just about time the second meal arrives. That is actually quite a fast 13 hours flight! It has come to an end. But what’s waiting ahead… is a whole new chapter!